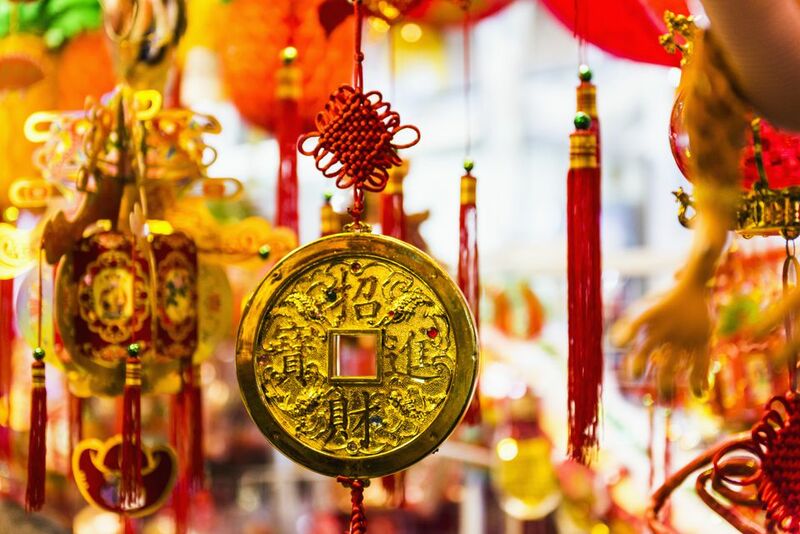 These fun facts about Chinese New Year will give you some idea of why the holiday is the most widely celebrated in the world. Many of the traditions and superstitions associated with Chinese New Year date back for centuries. The Lunar New Year is taken seriously by a lot of people throughout the world. The 12-year Chinese zodiac determines which dates and years are auspicious or unlucky; many large corporations still reference it before making important decisions! You don't necessarily need to base your life choices on the zodiac, but reading about your animal sign and how it corresponds with the upcoming lunar new year is fun. Nearly all of the traditions and superstitions observed during Chinese New Year serve one purpose: to usher in as much good fortune and prosperity in the new year as possible. Clutter is removed, old debts are forgiven, and things are arranged in a way to receive as much incoming luck as can be grabbed. People who follow tradition don't sweep during Chinese New Year for fear that they will sweep away incoming luck. The same applies to cutting and severing; hair, plants, and even noodles shouldn't be cut during the festival. The date for Chinese New Year varies from year to year because it is based on the Chinese lunisolar calendar. Although dates differ, the holiday always falls sometime in January or February. The whole Chinese New Year holiday actually lasts fifteen days.There will be celebrations and events going on over the duration of the whole holiday. The number of days declared as public holidays when businesses are closed varies country by country. The final day of the 15-day festival is known as the Lantern Festival. Somewhat predictably, the most important days of Chinese New Year are Chinese New Year’s Eve and the first day of Chinese New Year. The latter is traditionally the day for the Chinese New Year parade in Hong Kong. People in Hong Kong will take two or three days off work, while on the mainland they take up to a week away from work. It’s estimated that a sixth of the world's population celebrates Chinese New Year, including more than 1 billion Chinese citizens. In recent years, celebrations in New York, London, and other global cities have spread from the local Chinatowns to become mainstream events hosted by the cities. Chinese New Year even rivals Christmas as the world's most celebrated event. Ironically, at the same time, Christmas is catching on more and more in Asia. Chinese New Year causes the world’s largest human migration as Chinese workers travel home to spend time with their families. The migration event, known as Chunyun, sets a new record each year as the Chinese population grows. Yes, Chinese New Year will most definitely affect your travels in Asia! In China, where much of the migration takes place, it’s been claimed that trains are so overcrowded people have to wear adult diapers for their 24-hour journeys home. The world record for most text messages sent in a day is broken each year during Chinese New Year. The current record was 19 billion. Even the practice of giving red envelopes (hong bao) with money inside has been digitized. People can send small gifts to friends, family, and employees digitally via China's messaging apps. Per the Chinese calendar, Chinese New Year in 2019 begins the year 4716. The future seems to have arrived because year numbering was once based on the whim of emperors and when they decided a new era had begun. Chinese New Year isn’t only celebrated in China. In Vietnam, the Lunar New Year is called Tet. Singapore and some other Asian countries also celebrate the East Asian Lunar New Year, although January 1 and the Western New Year's Eve is observed, too. Of course, Chinese New Year is celebrated in Chinatowns around the world. Always a country that likes to do things big and set records, China has often grabbed the record for the world’s largest organized fireworks display during Chinese New Year. The Philippines secured the current world record in 2016. On Chinese New Year’s Eve, fireworks are launched all over the country. Displays are seen in every town and city center. Smaller shows pop up in farmyards and gardens. You'll also find firecrackers being thrown in the streets, although doing so is not legal in many cities. The loud bangs and chaos are meant to frighten away the Nian, a mythological beast that once came around to eat villagers.